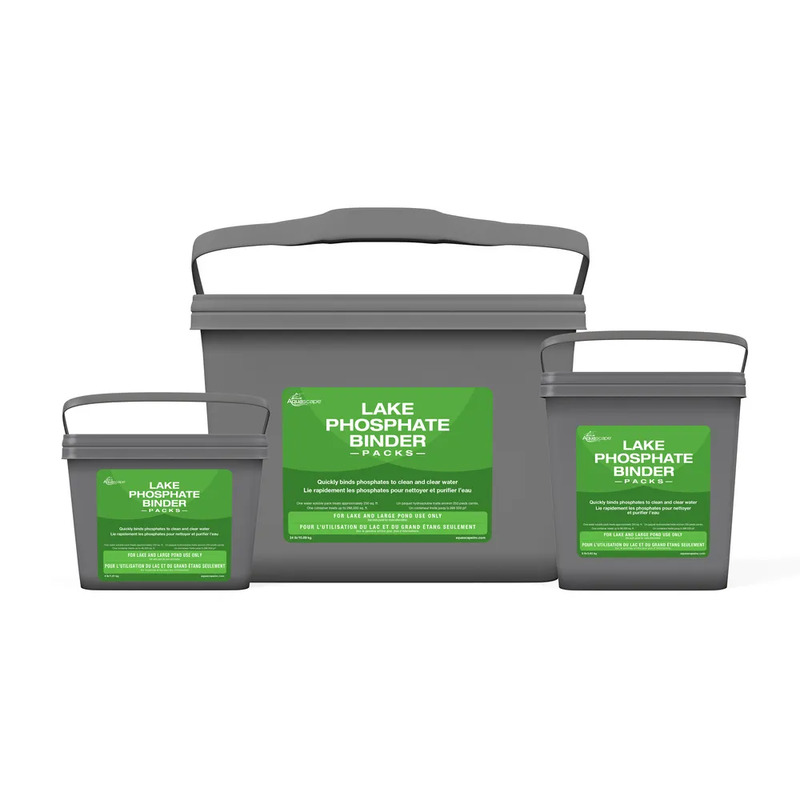 Lake Phosphate Binder Packs - Aquascape, Inc.
Aquascape® Lake Phosphate Binder Packs quickly bind large amounts of phosphate which otherwise cause issues with water quality and clarity in lakes and large ponds. This specially-formulated treatment will effectively reduce maintenance and bind orthophosphate. Simply toss the easy-to-use water-soluble packs directly into the water. The packs will dose the water column evenly and make it easy to treat hard to reach areas. This treatment is for lake and large pond use only and may cause issues, such as dangerous pH swings, in smaller enclosed systems. Safe for fish, plants, and animals when used as directed.